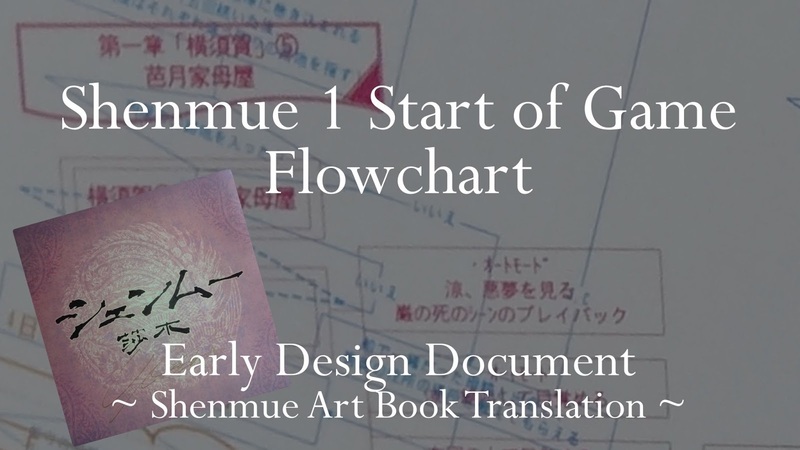 The Shenmue Premiere event was held in Japan and the end of December 1998 in Yokohama, with additional events through the New Year in cities through-out Japan. 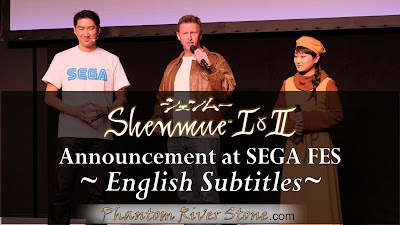 SEGA did not hold back on budget for these events: each lasted two hours, and were free of charge to attendees; and all attendees received a bag packed with Shenmue merchandise. The expectation and excitement was huge, as it would be the first time the general public would get a decent look at Yu Suzuki's new game, one that had been the source of much speculation in the preceding months. 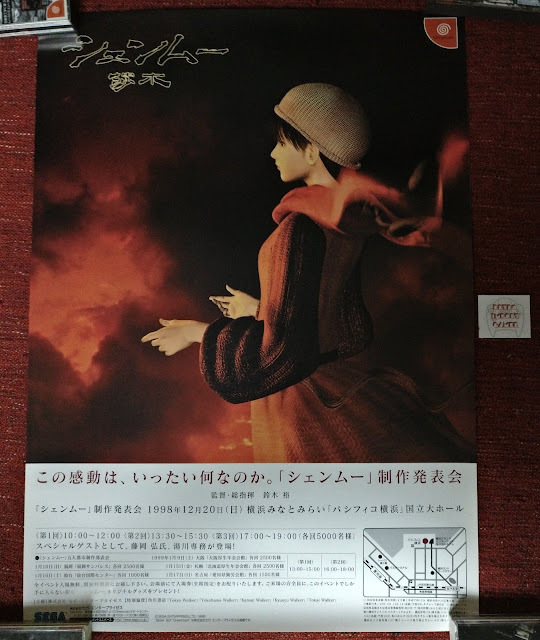 The large B2-sized poster below is one that was used to advertise the Shenmue premiere events. Most of the poster is occupied by a picture of Shenhua, with an informational panel further down with the words: "Whatever could it be, this emotion? The Shenmue Premiere." The name of the Director & Executive Producer is also shown: Yu Suzuki. 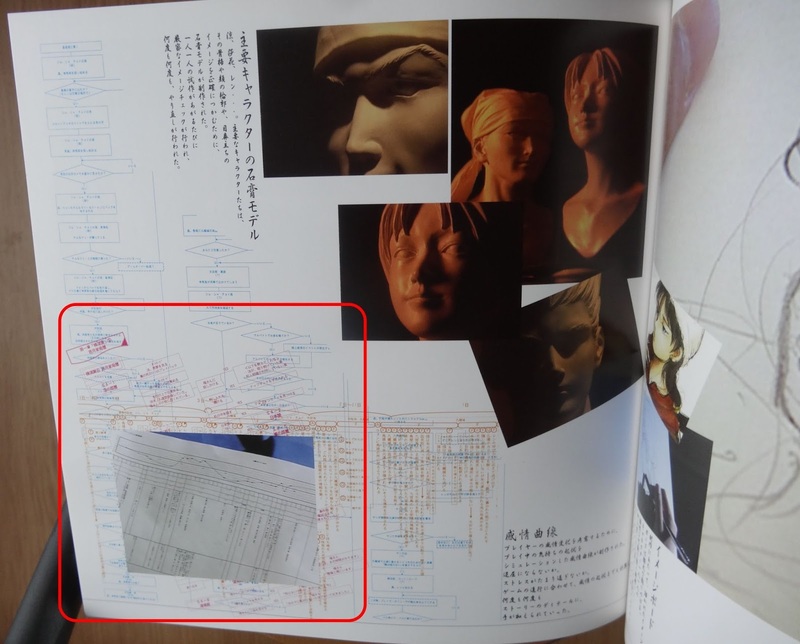 Underneath this are details of the dates and times of the event, with a map at the right showing how to access the convention hall for the kick-off event in Yokohama. 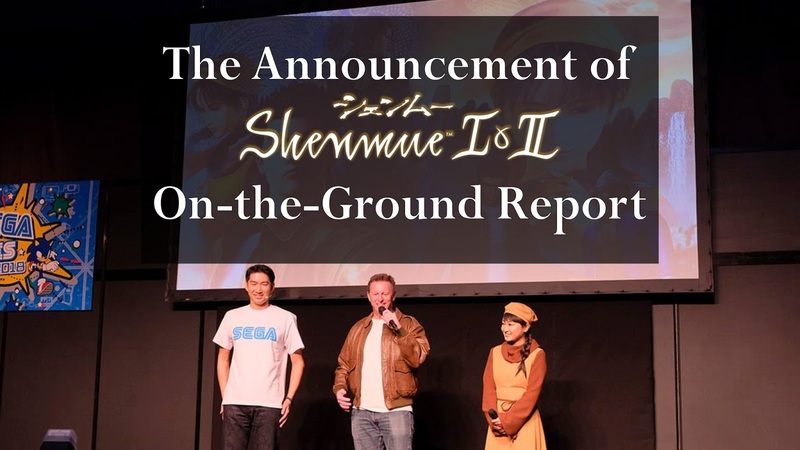 The announcement of the planned 2018 release of Shenmue I & II for modern platforms was an awesome event for fans all over the globe. With the live event being held in Japan, the primary language for the announcement was of course Japanese. Although "Shenhua" the official interpreter was present on stage for the main part of the announcement, not everything that Sega Sammy CEO Haruki Satomi said was translated - so we have added translated subtitles for those parts. View the subtitled video below. A written transcript of the Japanese translations follows the video in this post. Note: during the interaction Haruki Satomi makes one or two comments in Japanese that could be interpreted as being made at John Clark's expense. However I believe these were meant in a spirit of fun and were not intended to be disrespectful. 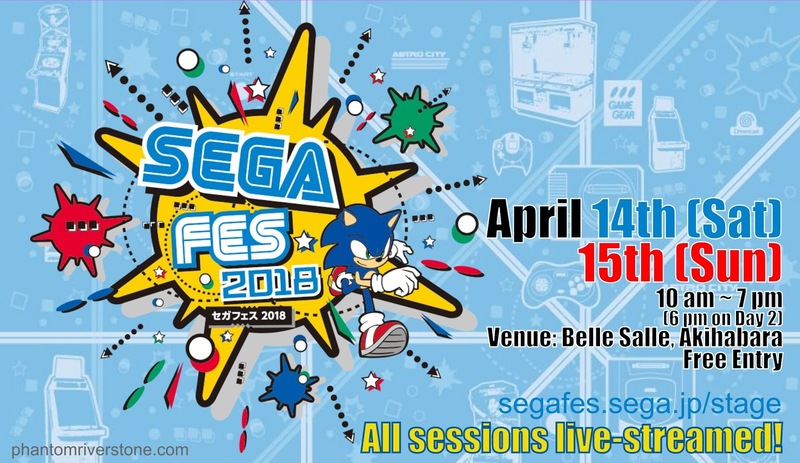 Haruki Satomi [HS]: SEGA FES 2018 starts from today. 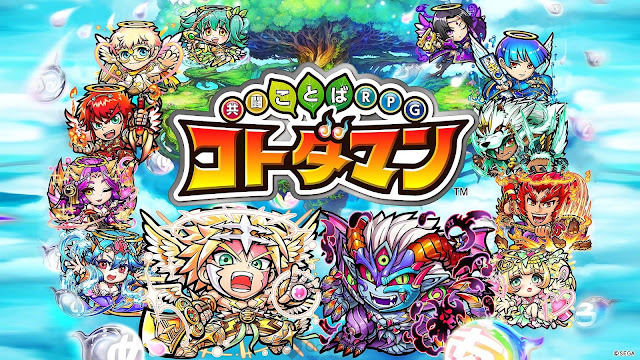 We held Sega Group's first one, as a trial, in November 2016. At that time, we ran a live show late at night over a period of 48 hours. Back then, "work-style reforms" and ""exploitative corporations" weren't really a thing, so the employees worked through for 48-hours. Sega video game producer & designer Toshihiro Nagoshi was asked his opinion on Yu Suzuki in a Q&A livestream session earlier today. 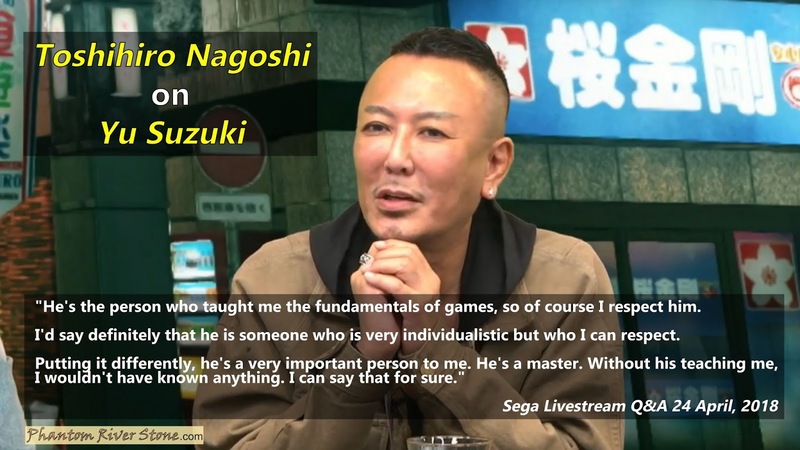 Despite having some "huge arguments" in the past when they worked together, Nagoshi holds Suzuki in great respect. Following yesterday's iPhone/iPad guide to downloading Sega's mobile game Kotodaman, here is one for Android users. Kotodaman is based on the concept of forming Japanese words, with the UI also being completely in Japanese. However if you are interested in playing around with it anyway, why not give it a try! 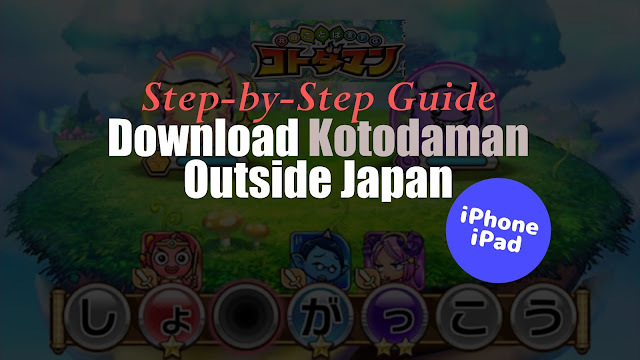 For information about the Kotodaman game: see our previous post here. For iPhone/iPad users: see our separate download guide here. Help is at hand for those not living in Japan who want to download Sega's new word-based RPG mobile game Kotodaman (read more about it here), thanks to Phantom River Stone patron James Brown (visit him on Twitter or YouTube) who has written this guest post with step-by-step instructions on how to install the game on your Apple iPhone or iPad. Kotodaman was released this week and, according to a recent tweet, generated 1 million downloads in just the first 3 days! The game is a free download - with optional in-game purchases - but unfortunately is only available on the Japan app stores. 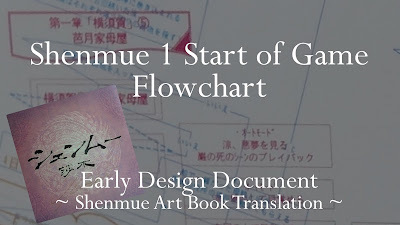 The game is based on the concept of forming Japanese words, with the UI also being completely in Japanese. However if you are interested in playing around with it anyway, we recommend giving it a try! 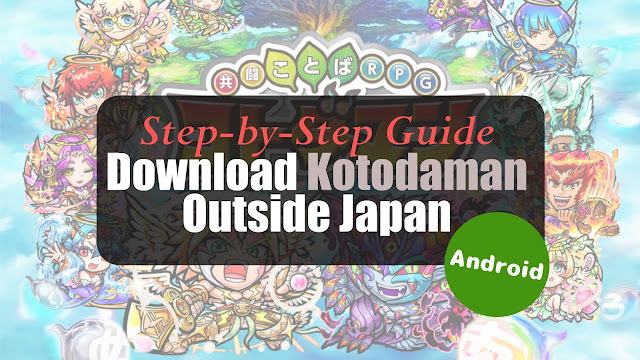 For Android users: we will be publishing a separate guide soon on a method for downloading Kotodaman outside Japan. Hi guys, it's James Brown (SkillJim) here! You may not know me, but I've been a huge Shenmue fan and collector since its inception. Playing the Original Shenmue on Xmas day of 2000! 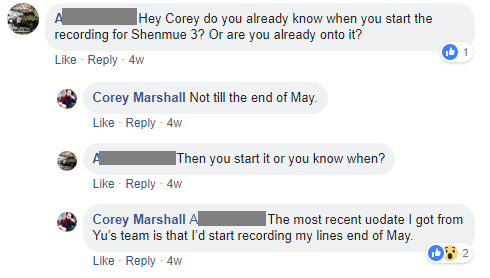 I've been heavily involved with the community since then, and I'm currently part of the Shenmue Dojo team! 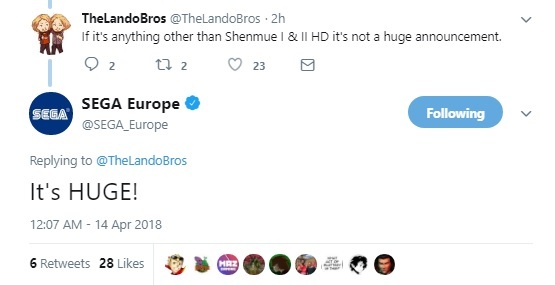 Some of you may also recognise my name from the Sega Europe video where community manager at the time Dan Sheridan read out and answered my question concerning Shenmue 1 & 2 HD back in 2016! - I'm jealous of Switch for being able to see it announced live in person last weekend (considering I was in Japan only a week prior - doh! Look out for a future post from me all about my day exploring the Dobuita area with Switch!). I don't contribute too much on Twitter, but if you would like to follow me, please do so :) - @SkillJim - I also have a YouTube channel with Sega content, and hopefully really soon I'll be releasing a series of travel videos of my time visiting the great countries of China & Japan, and also the day I met Switch in Yokosuka, you can find my channel here - https://www.youtube.com/theskilljim - Thanks guys! It's with great pleasure that I present to you a guest blog post here on PhantomRiverStone.com! A big thank you to Switch for letting me be featured! I hope that this post can be of some use to someone out there who may have heard about the Kotodaman game, yet didn't know how to go about downloading it from the Japan Apple AppStore. As someone living outside Japan (in the UK), I was wondering how it would be possible for me to download this game onto my iPhone and potentially be able to play as Ryo Hazuki, which we unlocked in the campaign which Switch previously did a blog post about a while back! Help Ryo Hazuki Appear in SEGA's Mobile Game "Kotodaman"
So I did a little bit of research into creating a Japanese iTunes account and I want to help anyone interested in doing the same! This is a lot easier to do if you have access to a computer or Mac with iTunes installed on it. 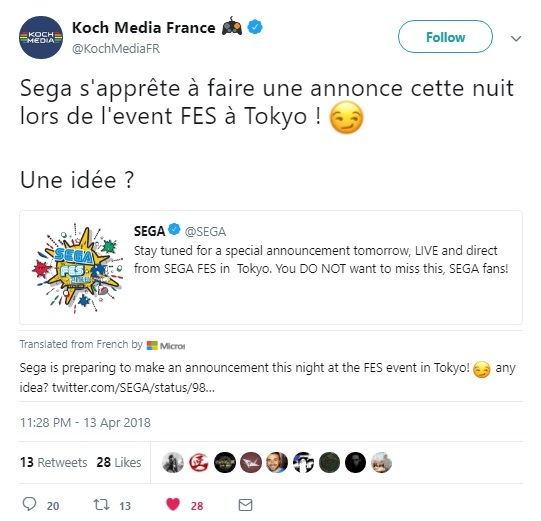 Shenmue fans have been sent into overdrive as the fires of speculation are stoked by some explosive tweets just hours away from the start of the SEGA FES 2018 event. Now, a tweet from SEGA is something that of course is to be taken with a grain of salt by Shenmue fans. 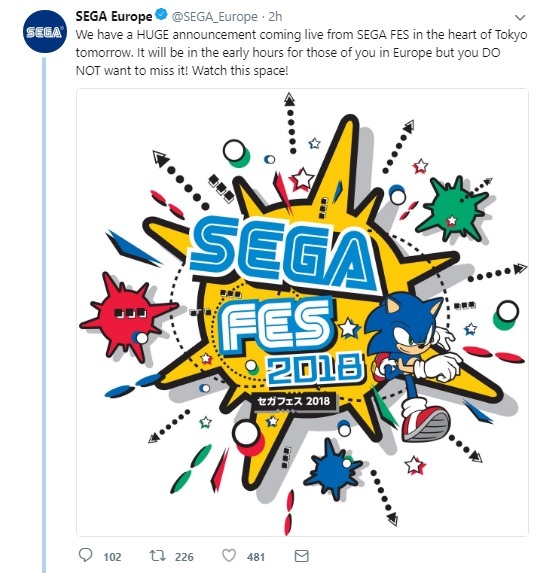 A further comment from SEGA Europe was even more direct. 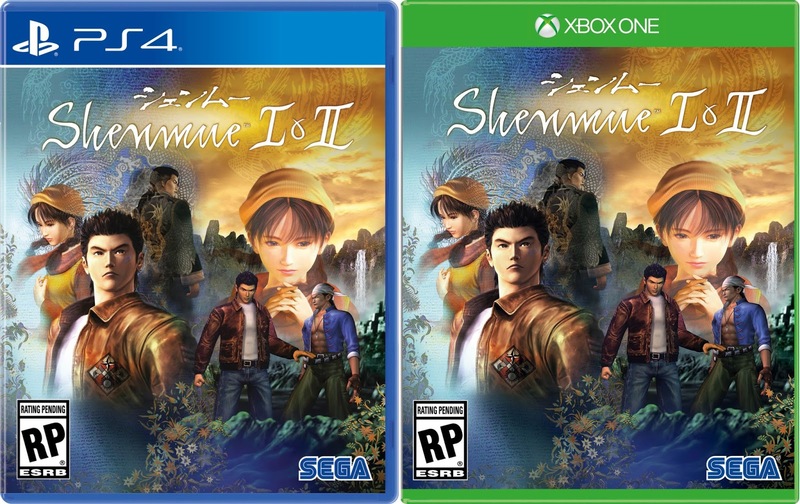 A Twitter user suggested that "if it's anything other than Shenmue I & II HD it's not a huge announcement". This was met with the reply: "It's HUGE!". Shenmue of course has not been specifically mentioned, however Koch Media's participation here is highly suggestive. It is also worth noting that the voice actor for Ryo Hazuki in the Japanese version of Shenmue, Masaya Matsukaze, will also be on site at the venue tomorrow (although ostensibly for the promotion of a different game, called Readyyy!). 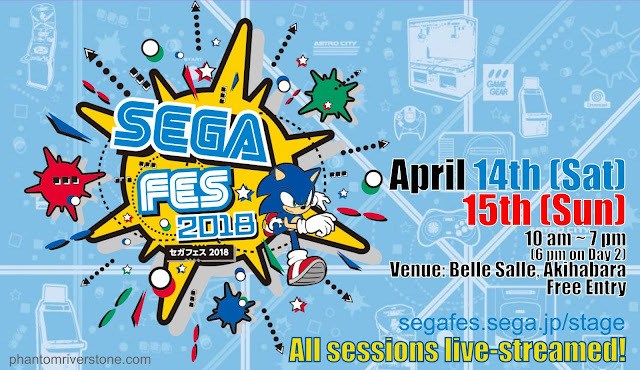 It is certainly worth keeping a close eye on the SEGA FES sessions tomorrow, all of which will be live-streamed. (I myself will be there in person with the hope of catching the announcement while I am there). 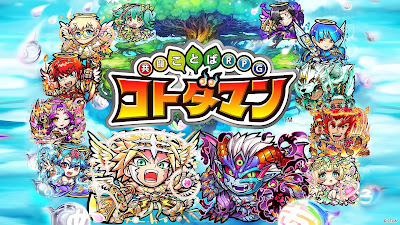 See our recent blog post for the English event schedule and information about the live-stream links. 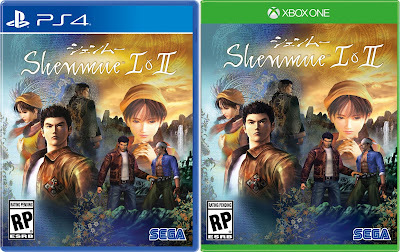 Could this be the Shenmue HD announcement the fans have been waiting for all this time? As always, it may be something quite different so keeping a level head is advised to avoid disappointment - but we will have our answer very soon! Last month our White Tiger patrons voted in our monthly poll to decide one of the post topics for this month, and the results are in! 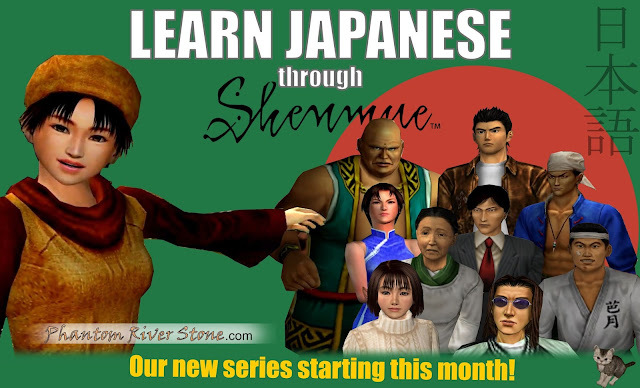 The highest-voted topic was "Learning Japanese through Shenmue", which I plan to make the start of a new monthly series aimed at teaching basic conversational Japanese, with a Shenmue theme. The level will be suitable for new learners, but with a few more advanced items thrown in here and there for people who may already know a little. Japanese voice-acted clips of various characters through-out Shenmue I & II will be used to illustrate words and phrases that are useful for everyday life in Japan (as well as one or two that may be of more interest to those intent on avenging their father's murder). If you have any thoughts or suggestions regarding the lesson content, comments are welcome.